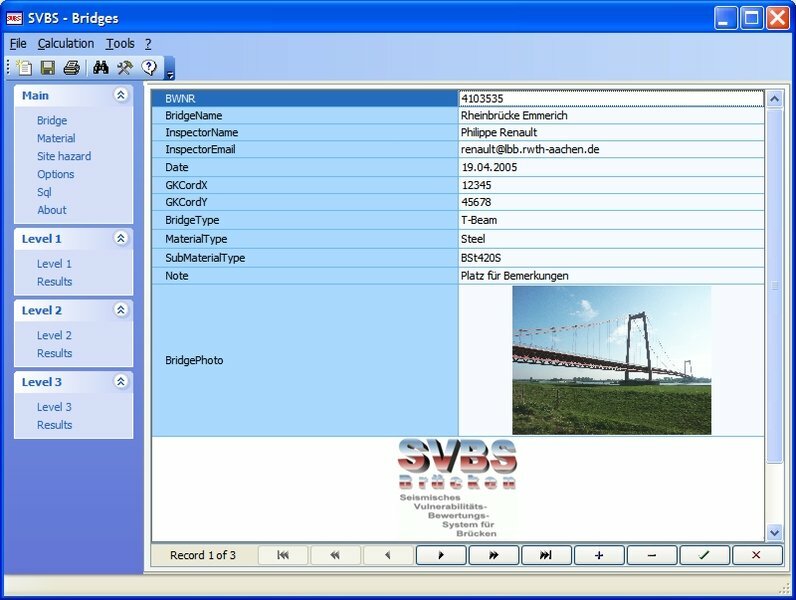 The SVBS software supports the systematic evaluation of the seismic vulnerability of existing bridges. The procedure is supported by a management system with database functionality and connection to a nationwide bridge database provided by the Federal Highway Research Institute. The procedure includes analyses with three different levels of accuracy that can be applied in a problem-oriented manner to the bridge to be evaluated depending on the type of bridge, its importance to the infrastructure, and the seismic risks existing at the location. The evaluation in each level of the analysis is based on statistical data, the available bridge documents, on-site vibration measurements, simplified static models and detailed numerical simulation models. 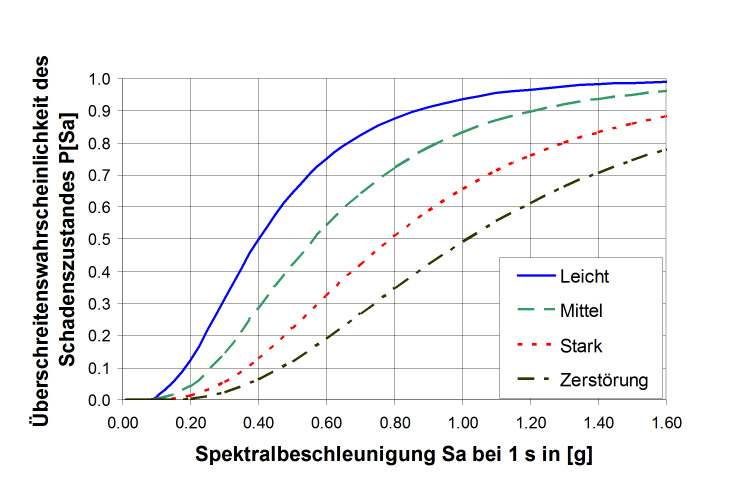 The system has already been used successfully in practical applications and provides a quick estimate of the seismic vulnerability of bridge constructions.